There's always someone waiting to give that kind of advice. I knew a guy who stayed on Windows 98 because all the new malware was targeted at the more recent versions of the OS. 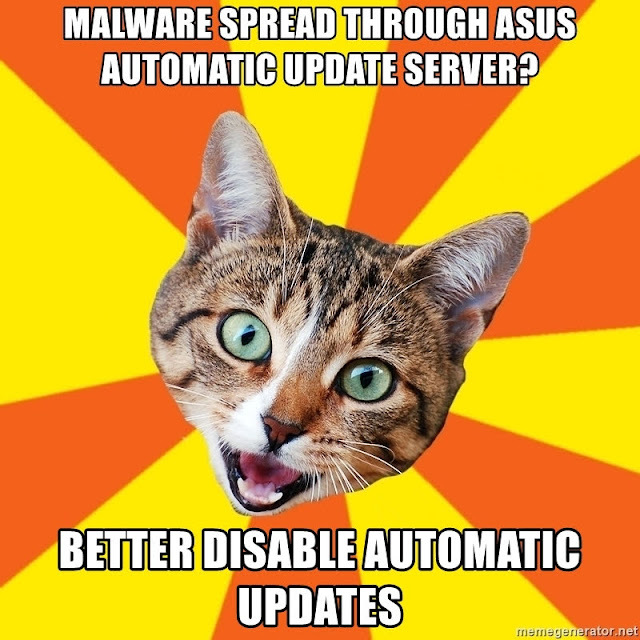 But just because ASUS' servers were used to distribute malware doesn't mean you magically stop needing to keep your system up to date.